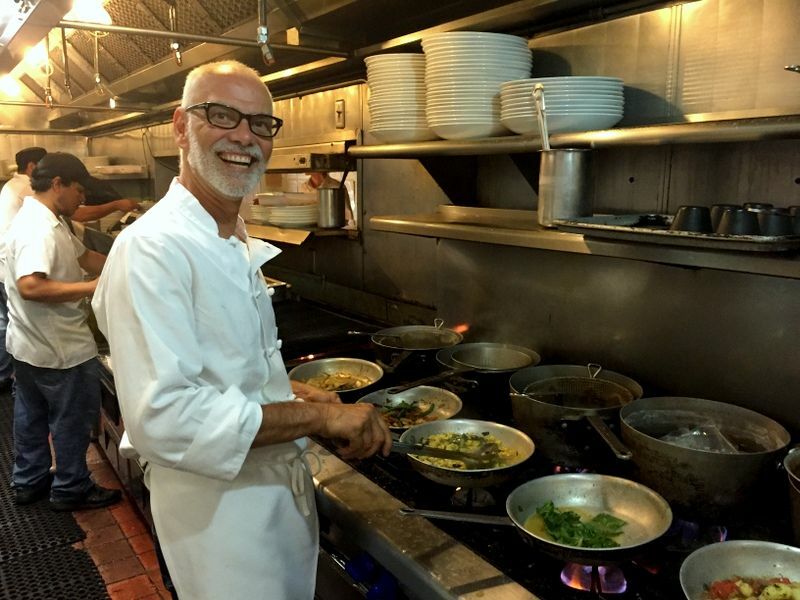 In the busy kitchen of Passionfish restaurant, in Pacific Grove, chef Ted Walter is putting the final touches on grilled striped bass. “So this is a shaved granita that’s made from pomegranates and ginger,” he says, pointing to a frozen pink mixture he’s carefully spooning onto the fish. 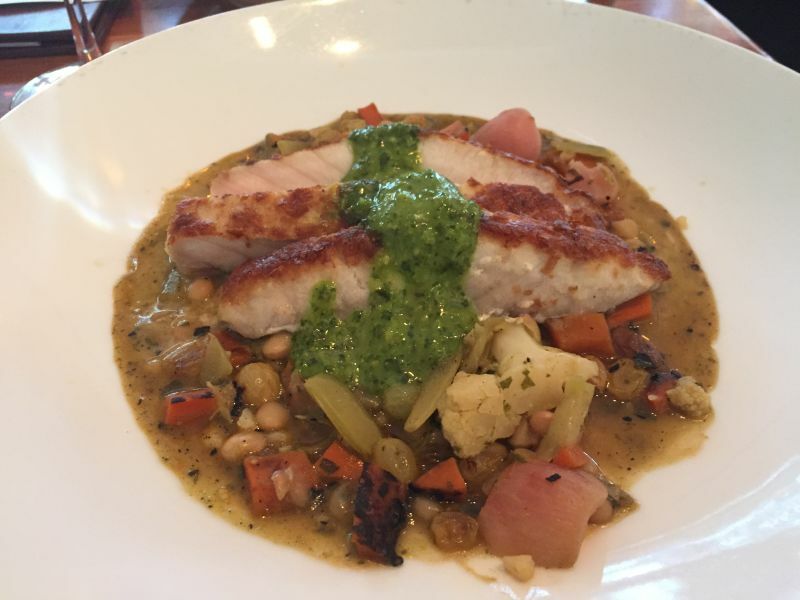 When Walter and his wife, Cindy Walter, opened this restaurant 18 years ago, they decided to serve only sustainably caught seafood. This means finding species that aren’t being overfished or caught in nets that accidentally kill other fish and catching what is in season. As the daughter of a local fisherman, she saw the industry collapse because of overfishing. But when they opened their restaurant, it was hard to figure out where to get the fish they wanted to serve. Passionfish was one of the first restaurants to partner with the Monterey Bay Aquarium program, Seafood Watch. Passionfish now puts wallet-sized Seafood Watch cards on each table for customers, with the tab. It’s part of what keeps customers like Debbie Chinn coming back. 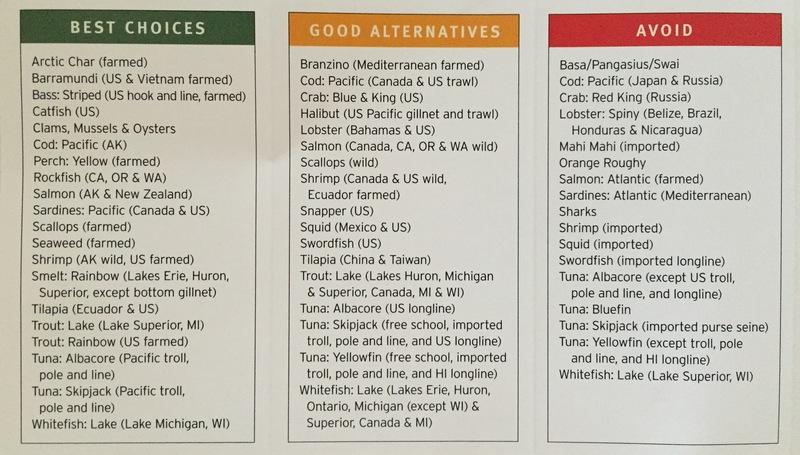 Seafood watch uses a color-coded ranking system: red means fish to avoid, yellow is a good alternative, and green is the most sustainable choice. And for people who can’t remember to carry a paper wallet card around, there’s the Seafood Watch app, where consumers can look up detailed information about whatever they come across in the supermarket or at a restaurant. The ranking system is not focused on human health—things like mercury levels in the fish. Rather, the emphasis is on the health of ecosystems. “Sustainable means the fishery or fish farm can exist into the future without negatively impacting the surrounding environment,” says Jenn Kemmerly, who heads the Seafood Watch program. Kemmerly says the program’s scientists review academic studies and talk with industry experts in crafting the recommendations. I was surprised to learn that many species of farmed fish rank just as high as wild fish on the Seafood Watch list. Kemmerly says while salmon have often been farmed in ways that damage coastal environments, other species, like farmed sturgeon, can be a great choice. That’s because they’re raised in filtered ponds that are less polluting. But it’s not always easy to tell how something is fished or farmed when you find it in the supermarket. Kemmerly says those information gaps are exactly why they want consumers to start asking questions. Kemmerly says since Seafood Watch started in the late 90s, big companies like Whole Foods, Target, and Disney have adopted its ranking system. In a boat just up the coast off Santa Cruz, fisherman Kevin Butler is hooking a thrashing mackerel onto a line, bait for a prehistoric-looking fish called ling cod. Butler uses a rod and reel to catch each individual fish, a technique called hook-and-line fishing. Butler says it’s friendlier to the ecosystem than trawl catching, when fishermen drag a big net behind the boat. Or long-line fishing that uses multiple hooks. 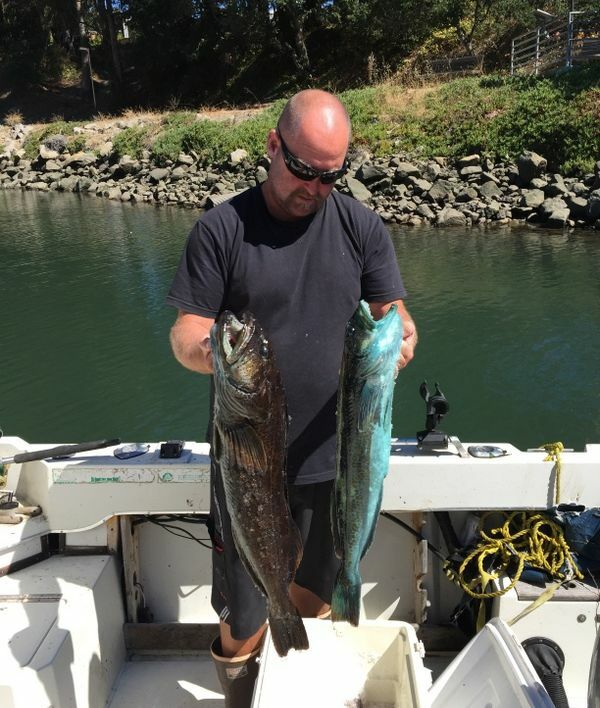 But some Central Coast fisherman have long been at odds with the Seafood Watch program, and want to see its priorities shift. Butler says he’s less likely to bring in accidental bycatch—young fish that are too small to eat, or species other than the one he’s fishing for. “We're not using nets, the fish have to voluntarily bite each hook, and we reel it in by hand. So there's virtually no bycatch, all our fish is literally hand-picked,” says Butler, as he reels in a fishing line. Butler’s fish is sold as “sustainable” at Whole Foods and through Reel Good Fish, which supplies local customers with a box of fish, kind of like an organic vegetable box. Butler wants Seafood Watch to prioritize local in the way they rank fish. As it stands, some Monterey Bay fish are on the same category (yellow) as farmed tilapia from China. “We’re told, 'Eat this fish' and it came halfway across the world on a jet plane,” Butler says. “It just doesn't make any sense. The best strawberries are the ones grown down the street. The best peaches come off your neighbor's tree. Seafood Watch says it has to assess the environmental impact of fisheries around the world because, bottom line, up to 90 percent of seafood consumed in the U.S. is imported. Kemmerly says the program will soon begin collecting data on the carbon footprint of seafood, but that won’t influence its rankings, at least for now.